BISMARCK, N.D. (AP) — Health officials in North Dakota have confirmed at least one person has contracted the mosquito-borne West Nile virus. It’s the first-reported case of the virus this year, which is spread by mosquitoes. North Dakota Department of Health tests also show a pool of mosquitoes tested positive for the virus in Grand Forks. Severe cases can be fatal and cause confusion, paralysis and coma. Milder cases can lead to fever, headache, aches and rashes. Health officials say 62 people contracted the virus in North Dakota last year, resulting in two deaths. 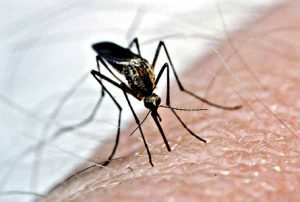 State epidemiologist Jenny Galbraith said Monday that people can limit the spread of the disease by wearing insect repellent, protective clothing and by removing standing pools of water where mosquitoes lay eggs.